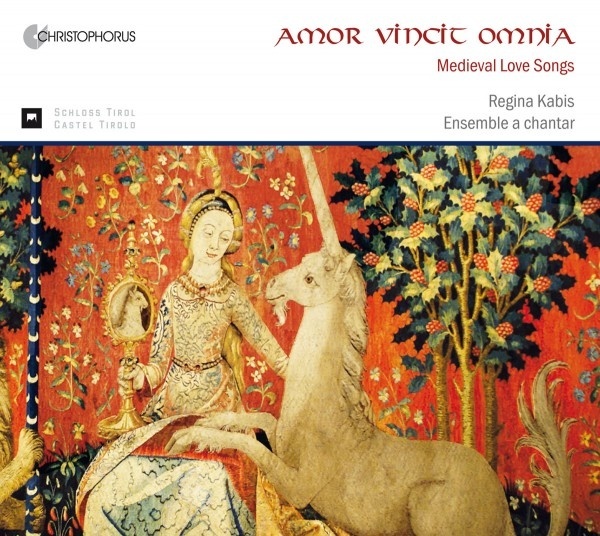 through the entire CD as a common theme: courtly love in the chansons by the Countess Beatritz of Diá and the monophonic Italian songs of the Codex Rossi, the adoration of the Virgin Mary in works by Oswald von Wolkenstein, and with a particular local atmosphere in the Cantigas d’amigo of the trobador Martin Codax. His famous chansons can be discovered in numerous different recordings. But instead of merely performing each song one after another, the Ensemble a chantar links up the individual pieces with sections instrumental interludes to span an arc encompassing the complete cycle. This transforms the Cantigas d’amigo from a mere collection of seven songs to a single unified entity. The missing melody of the sixth Cantiga has been replaced here by a new composition.